A few months ago, the Best Actress category was looking pretty simple. No matter which awards body it was, they were going to vote for Meryl Streep’s incredible, engrossing and moving portrayal of Margaret Thatcher in The Iron Lady. However, queries have been raised since then about how inevitable Streep’s victory is. Firstly, her performance came under criticism for being simply an impression, a criticism which has also been levelled at Michelle Williams’ performance as Marilyn Monroe in My Week with Marilyn, which is also up for the award. To that extent, both performances are thankless tasks. Both are very good at getting the mannerisms of their historical character across, and once they do that people begin to say that they’re not really performances but impersonations. This is nonsense. They’re both proper performances and very good ones at that. 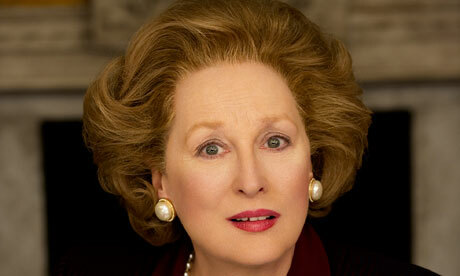 Streep’s is better however, having greater emotional power and being so instantly recognisable as Thatcher. You never really feel like you’re watching Streep. It just is Margaret Thatcher. Then came the unexpected runaway success of The Artist. This may well be enough to ruin George Clooney’s turn to win the Best Actor Oscar, with Jean Dujardin looking like a real contender for that award. However, it seems unlikely that the charming Bérénice Bejo will be able to upset Meryl Streep’s progress. Then came the BAFTA nominations and amongst the Best Actress nominees was the largely overlooked Tilda Swinton in We Need to Talk About Kevin. The snubbing of Swinton by the Oscars was an absolute scandal. She takes on the very tough role of a woman dealing with her inability to form a connection with her son and wondering how culpable she is for his dreadful actions. She has to be a real contender at the BAFTAs, being an exceptional British actress in a terrific performance. Finally, the last twist in this race came at the Screen Actors’ Guild Awards, where Meryl Streep didn’t win the Best Actress award. It went to Viola Davis for her performance in The Help. Davis, who first caught the eye acting across from Streep in 2008’s Doubt, is a magnificent, sympathetic presence at the heart of The Help. She will not win the BAFTA, and Streep remains the favourite for that award, but when we get to the Oscars in a fortnight, the two will be neck-and-neck. With the greatest respect to Davis, it should be Streep, but The Help, with its civil rights theme, has the sort of worthiness the Academy loves, and that could be enough to generate a surprise loss for Meryl. The BAFTA Film Awards will be held on Sunday 12th February and broadcast on BBC One at 9pm. Tomorrow's preview will look at the Best Director category.